Firstly, there is the matter of the higher max clock rate of two of the Kryo cores inside. Admittedly, this probably won't have groundbreaking effect on real-world performance. But in a benchmark scenario, where the CPU is being pushed to the limit, the difference definitely shows. Looking at GeekBench, we can clearly see the OnePlus 3T hold its own and easily surpass its OnePlus 3 sibling. The Samsung Galaxy S7 and the Huawei Mate 8 seem to be enjoying better multi-core optimization with their respective custom chipset solutions. However, as far as Snapdragon 820 devices go, we can clearly see the OnePlus 3 blows away contenders like the Qualcomm-powered Galaxy S7 and the Xiaomi Mi 5. The OnePlus 3T is even better at it. Sure, Huawei's silicon appears to be acing multi-core performance tests along with some rare MediaTek chipsets such as the Helio X25. However, within the popular Qualcomm realm, nothing can currently compete with the raw power of the Snapdragon 821. But, chances are, most users aren't going to be running a lot of complex mathematical computations on their new phone. Luckily, performance boosts in the OnePlus 3T extend beyond simple number-crunching power to deliver a more fluent and pleasant experience as a whole. A quick look at the all-round AnTuTu benchmark, clearly shows the OnePlus 3T is ahead of the pack. Also, something as simple as a real-life application launch time test next to the older OnePlus 3 or many other contemporary Android devices, often shows a significant improvement (granted, not scientifically measured). Now, there are actually quite a few aspects at play here. Besides the CPU clock speed boost, the MSM8996 Snapdragon 821 also operates its Adreno 530 GPU at a higher frequency. More on that a little bit later. The RAM interface frequency and maximum bandwidth has also been increased from 1333 MHz or 21.3GB/s to 1866 MHz or 29.8 GB/s. However, we have no real indications that OnePlus changed the 6GB LPDDR4 chips, powering the handset. They are most-likely identical to the ones in the OnePlus 3. Something that did definitely change, however, is the device's default file system. Now, this is a harder subject to investigate, but a few fellow tech reviewers have managed to determine that the two OnePlus 3 models use the same snappy UFS 2.0 NAND storage chips. However, whereas the vanilla OnePlus 3 still uses EXT4 as a file system, on the OnePlus 3T, F2FS is now the standard. The latter has been making the rounds in various custom ROM communities, including the OnePlus one, going as far back as the original OnePlus One handset. It appears the real-world benefits from using the more efficient file system are tangible. Cold-starting many demanding apps is a few seconds quicker on the OnePlus 3T, over its sibling on these grounds alone. However, that being said, it is also important to note that this should not be written off as an advantage of the refreshed model. OnePlus has promised to bring the F2FS file system to the older device as well, once Nougat hits and both devices end up on the same software and update path. This should effectively shrink the storage performance difference between the pair. In fact, if you are currently using a OnePlus 3 unit and are feeling adventurous, you can pick up the latest community build of Oxygen OS and experience the performance difference for yourself. Moving on to graphics, it is hardly surprising to see that the Adreno 530 copes a lot better when tasked to only push pixels in 1080p resolution, as opposed to QHD. This has always been a polarizing aspect on the OnePlus line, especially in 2016. However, like we already mentioned, we stand firm behind our belief that 1080p is perfectly sharp on a 5.5-inch panel and the power-efficiency and performance benefits are undeniable. Furthermore, the Adreno 530 inside the Snapdragon 821 is now clocked at 653 Mhz, compared to the 510 MHz, inside the older Snapdragon 820. This shines through in the benchmark runs as well. Even the highly-demanding OpenGL ES 3.1 Car benchmark was rendered at a respectable 20 frames by the OnePlus 3T. That is almost playable and quite an achievement, considering not long ago, handsets barely managed single-digit scores in the benchmark. Basemark X and Basemark ES 3.1 paint a very similar picture as well. Seeing all the scores so far, one thing is clear. Few phones can come close to the OnePlus 3T price/performance ratio. The original OnePlus 3 is still an amazingly capable device that won't disappoint even the most demanding power user. 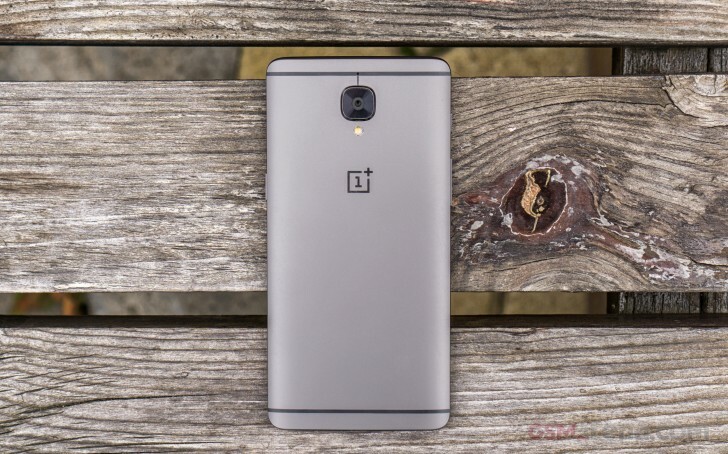 However, it is undeniable that the OnePlus 3T is the most powerful device by OnePlus yet.